(November 7, 2016) Governor Matt Bevin today recognized the sacrifice of Fort Campbell soldier, Staff Sgt. Matthew C. Lewellen, 27, of Kirksville, Missouri. 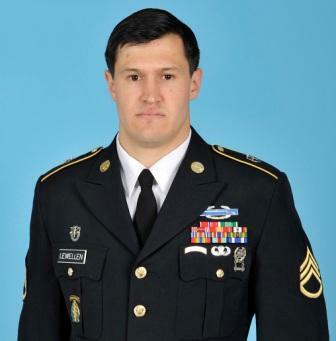 Lewellen and two other Fort Campbell soldiers were killed in Jordan by gunfire while entering a military base there. The Governor has ordered that flags will be ordered to be flown half-staff on the day of his internment. Arrangements remain pending. For biographical information, follow the jump to Army Times. Editor's note: The Governor's office listed Lewellen's hometown as Lawrence KS. Army Times listed his hometown as Kirksville, MO.